This topic reminds me of a conversation I recently had with some entrepreneurs about philanthropists. They mentioned that when someone is super successful; the next step is to give back. I’m not sure if this is verbatim what they said, but it’s the gist of it. They used philanthropists like Elon Musk and Bill Gates as examples of those who are using their minds and fortune to make the world better. Another name that will soon come up in conversations like this is Marc Benioff. Searching Marc Benioff in Google generates links to predominantly Salesforce related content. However, Marc does a lot of social good that you may not know about. Let’s learn exactly what Salesforce is, and also things Marc does as a famous philanthropist. According to their website Salesforce is the #1 CRM (customer relationship management) solution. Their products help their clients generate more leads, and get a deeper understanding of their consumers. Marc Benioff is the chairman and CEO of Salesforce, as well as a philanthropist revolutionizing corporate philanthropy. Under his leadership, Salesforce has grown to the largest CRM Company, and the fastest growing top 10 CRM Company. Marc has gained a reputation as a visionary leader and innovator which is rightfully so. As great a job Salesforce does in the CRM space, social activism is something near and dear to Marc. Therefore it’s no surprise that social activism is a strong part of Salesforce. Corporate philanthropy inspired Marc to create the 1-1-1 model. This concept is very simple as 1% of Salesforce’s product, 1% of Salesforce’s equity and 1% of employees’ time contribute to help nonprofits achieve their mission. This idea has spread like wildfire (cue memories of Season 6 Game of Thrones, Cersei you bad, bad woman.) Back to the point, over 700 companies have undertaken the 1-1-1 model. 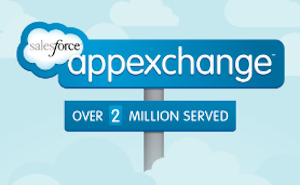 Read more about Marc Benioff and how Salesforce gives back here. Marc and his wife Lynne are personally committed to children’s health. They’ve funded 2 major children’s hospitals in San Francisco and Oakland, and put programs in those hospitals to help get kids on the right track, from an educational standpoint. He was a vocal supporter in opposition to Indiana’s Religious Freedom Restoration Act, that would allow businesses to refuse service to gay, lesbian, and transgendered people based on religious grounds. Read more here. He has backed presidential candidate Hillary Clinton, in an interview shared by CNN Money. He also does not claim allegiance to any particular party. Marc is an author and you can find his book here to learn even more about him. Despite Marc’s and Salesforce’s great fortune, one thing to note is that they make sure to give back. Another thing to note in the facts about Marc Benioff is that he is human. We often look at other people as some super beings, to the point we think that we can’t possibly do a fraction of the things that they do. However, this simply isn’t true as we can do just as much if not more as long as we are willing to act. This brings me back to the conversation I had with those entrepreneurs, one mentioned a quote by Steve Jobs that I believe speaks volumes. Share this article with your friends and show them how Marc Benioff is changing the world!